. يقدم فندق رانديفو سيدني ذا روكس خدمات لا غبار عليها وكل أشكال اللياقة وحسن الضيافة اللازمة لإسعاد ضيوفه. يقدم هذا الفندق العديد من الخدمات الكفيلة بإرضاء أكثر الضيوف تطلباً. استمتع بوسائل الراحة الراقية في الغرف أثناء إقامتك هنا. بعض الغرف تتضمن إغلاق, غرفة معيشة منفصلة, تلفزيون بشاشة مسطحة, اتصال لاسلكي بشبكة الإنترنت (مجاني), غرف لغير المدخنين لمساعدتك على استعادة طاقتك بعد يوم طويل. كما أن مجموعة الخدمات الواسعة الموجودة في الفندق لضمان راحتك تترك لك الكثير من الخيارات لقضاء وقتك أثناء فترة إقامتك. إن فندق رانديفو سيدني ذا روكس هو خيارك لخدمة الفنادق الراقية في سيدني. يوجد انتظار للسيارات في ساحة انتظار ويلسون التي تقع داخل منطقة الفندق. يقع المدخل على الجانب الأيسر من مدخل الفندق عبر شارع هارينجتون. تكلفة الدخول (مرة واحدة فقط) لمدة 24 ساعة هي 40 AUD وتخضع للتغيير. Rooms are dated, ants on balcony even after I asked front desk to have housekeeping to spray. Secondary lock to room did not work we used chair against the door. As we left the room I asked housekeeper to clean came back several hours later room still was not clean. We liked to location and the balcony space was nice. 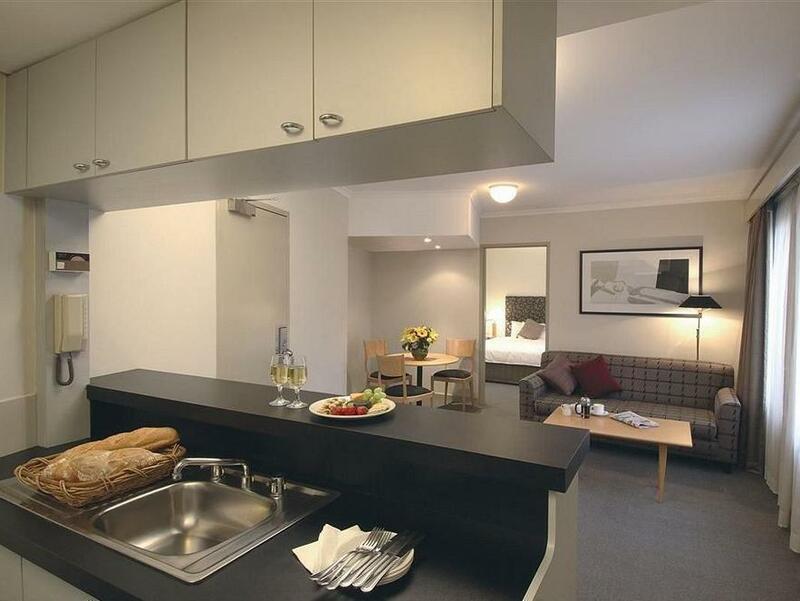 Very close to Circular Quay, only 3-4 minutes walk. Plenty of restaurants and pubs around the corners. Very friendly and attentive staffs, making check-in and check-out as easy as it should be. We will certainly come again. Rooms are spacious and have a small kitchen. Thank you ! Cosy little resort. Rooms are kept very clean. The location is good, within walking distance to many places in Circular Quay, however the train station is not exactly 'next door' so if you have heavy luggage, it may be quite a strain to push the luggage from the train station to the hotel. Upgrade to Terrace room which is with a kitchen. Great loction just walking distance to Circular Harbour and Bridge .The Rocks bazar at weekend is fantastic. But checkout time is 10am, too early for me. and a little bit expensive. Nice hotel with friendly staff. Perfectly located in the rocks close to all the sites and city. Great views of Opera House and Harbour Bridge. Some great old and new pubs near with some excellent dining. best location and we had a huge balcony with a view of the bridge. just walk out the door into the best restaurants and pubs in sydney. My only remark is paying $40 a night as a guest to park my car there was too much. We will only stay there again if we do not have a vehicle. The stay was simply great albeit a very short 24 hours. Staff very friendly and offering great service. The room was a good size, spotlessly clean, with a balcony offering an impeccable view of the Opera and sideways of the famous Sydney Bridge. The heated swimming pool is also a great plus for this hotel. All in all a very pleasant experience. Fantastic location. 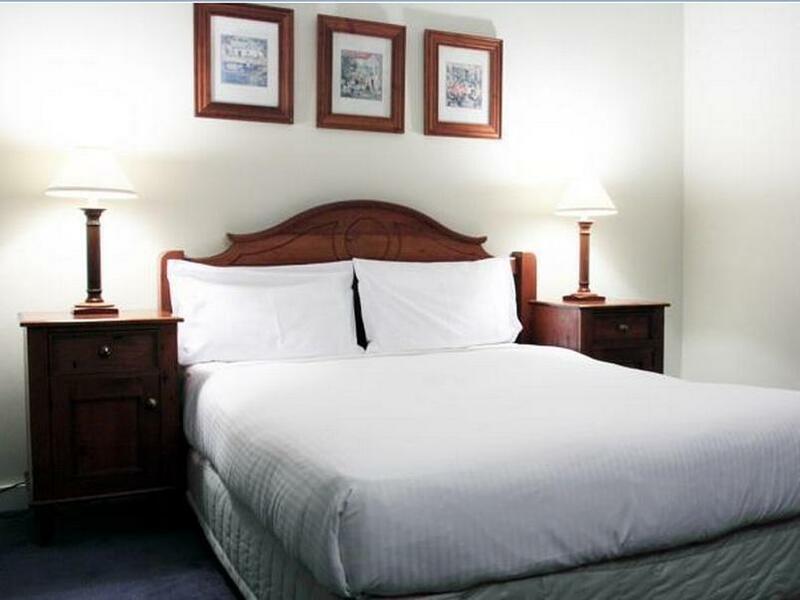 Walking distance to attractions, cafes, restaurants night life. 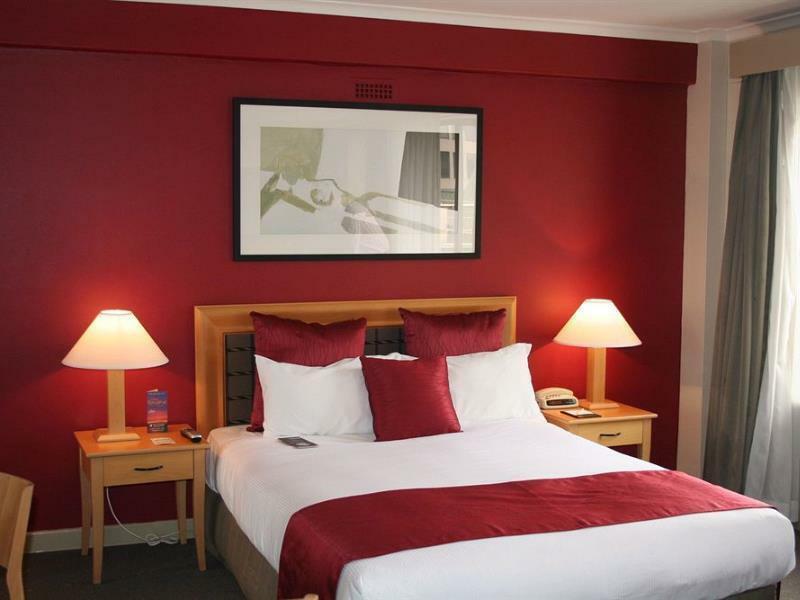 Lovely boutique hotel great room with a view of the Opera House and Sydney harbour bridge . My husband and I wil definitely be back. Good location. Good restaurants close by. A balcony in The Rocks overlooking the Opera House and Harbour. Say no more!!!! Good size room with a good size kitchen. We will always stay here when we go Sydney. The staff were fantastic. Nothing was too much trouble at reception. We were made to feel very welcome each time we passed. The view was awesome from our top floor. All the rooms face the Quay. Location was perfect! The view from our room was awesome too! 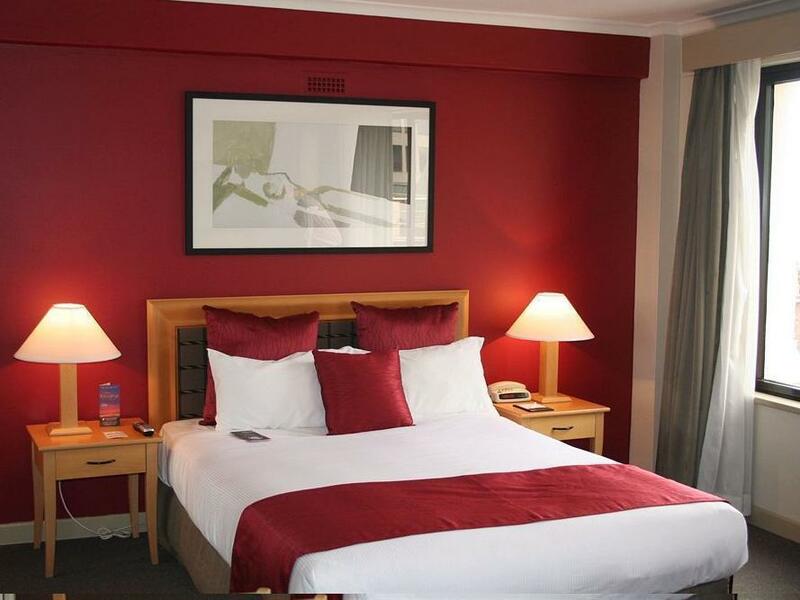 An unpretentious hotel with large comfortable rooms in a terrific location. Close to everything, so you can walk to wherever you want. Easy to train to and from the airport with circular quay so close. Check in was a breeze. My room's big enough to accomodate 4. Quite old but clean, spacious and complete with the necessary facility. The hotel is near the train and ferry station so famous attractions like the opera house, botanic gardens, harbor bridge are just nearby. Even shopping for souvenir items is just a short walk to george st. Overall, my stay was good. 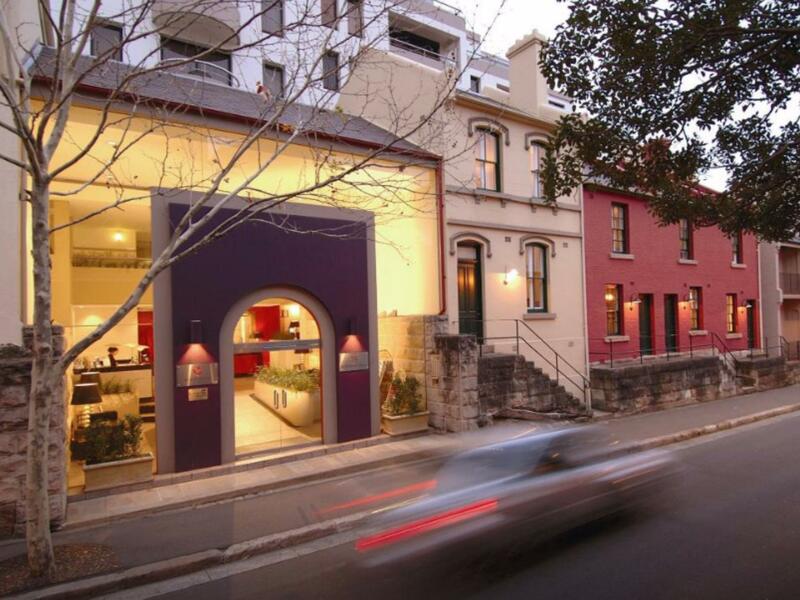 Situated in a wonderfully historic area in a major arts precinct. Also many restaurants, cafes and bars. Three doors from the famous Rocks markets (weekend). # min to the water and 5 min to Circular Quay -the transport hub for ferries, buses and trains. Third time we have stayed. We will definitely stay here again. We were lucky as our room was upgraded to a suite and we had a fabulous view over the harbour. The staff were very friendly and helpful. Our only criticism is the bathroom, which wasn't in keeping with the overall presentation of the hotel, and needed an upgrade. And the internet - you only get 3 hours for free! Found the hotel to be superbly located, plenty of options around for eating out or bringing the food back. We didn't eat at the hotel, nothing to do with the hotel we just prefer to eat at other places and try local establishments.. Wish we had more time to try all the places around. The view of the harbour was great and provided a fantastic backdrop at the end of the day sitting on the balcony. Despite a few night establishments around it was quiet at night. Hotel staff were helpful and answered any questions we had, no issues with holding our bags until our flight time. Our room was large, we all fitted in with no problems , the kitchen made it much easier each morning. Would happily stay here again.